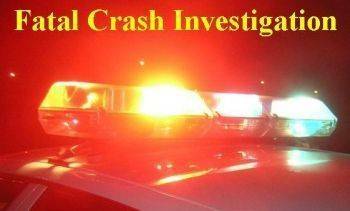 IBERIA — A Galion woman and a Mansfield man died Wednesday in a two-vehicle crash on Ohio 288 at County Road 38 in North Bloomfield Township, according to the Mount Gilead post of the Highway Patrol. Jesse G. Melba, 28, of Mansfield was driving a 2006 Nissan Maxima westbound on Ohio 288, according to the Mount Gilead post, Melba had a passenger, Je’nill L. Pahl, 32, of Galion. The Ohio Highway Patrol continues to investigating the double fatal crash that occurred around 5:25 p.m. at the, south of Galion. Edward P. Moran, 30, of Lexington was driving a 2013 Chevrolet 3500 eastbound on Ohio 288. According to troopers, Melba drove left of center to avoid a rear-end crash with another vehicle. At that time, Melba and Moran struck each other head-on. Melba and Pahl were pronounced dead at the scene. Neither was wearing a safety belt at the time of the crash. Moran was transported to the Galion Community Hospital with incapacitating injuries. Moran was wearing a safety belt at the time of the crash. Alcohol and drugs are not suspected factors in this crash. The Ohio State Highway Patrol was assisted on scene by the Iberia Fire Department and Morrow County EMS.